In the early cretaceous, about 110 million years ago, some dinosaurs lived in a polar environment, where there was total darkness for the months of winter and temperatures fell below zero. At this time, Australia lay within the Antarctic Circle, and dinosaurs that lived there were adapted to cold, dark winters followed by days of 24-hour sunlight in summer. 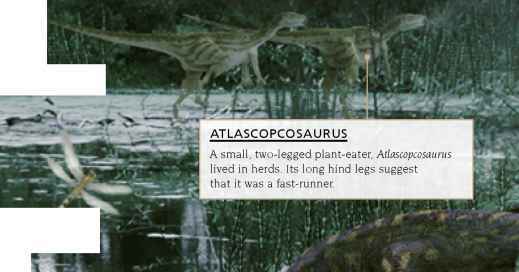 Leaellynasaura was one of them, roaming in herds across a forested plain. 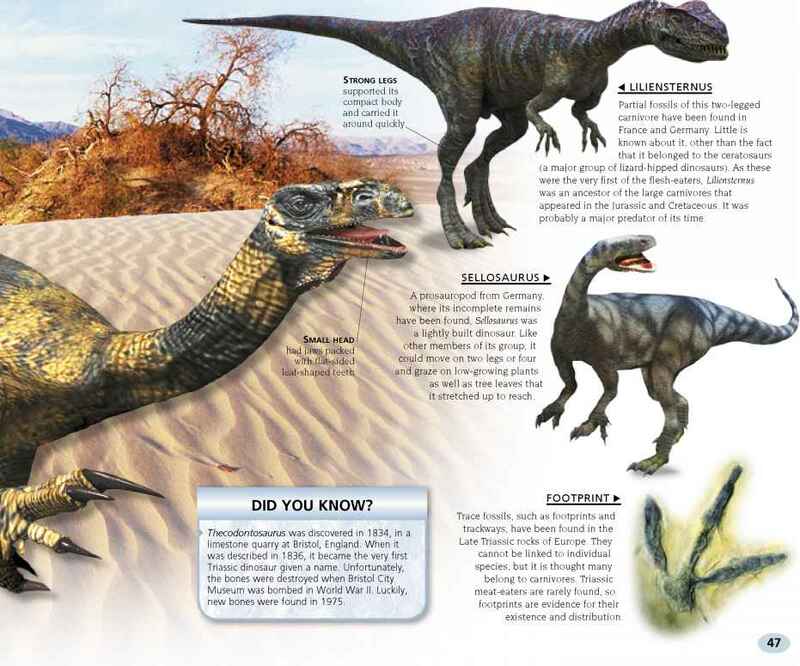 Today, in an area of south Australia known as Dinosaur Cove, the fossils of Leaellynasaura as well as other dinosaurs and animals have been unearthed. Dinosaur Cove, Victoria, is on the coast of southeast Australia, where the Otway Range meets the sea. The site is partway up a cliff. Leg bones from an adult and a juvenile Timimus are all that has been found of this dinosaur. They are enough to identify it as a coelurosaur—a small, lightweight carnivore with slender legs. The forest of conifers, ginkgoes, and monkey puzzle trees grew on a river floodplain. The understory was a carpet of ferns, horsetails, and mosses. Paleontologist Patricia Vickers-Rich (b. 1944) works at Monash University, Melbourne, Australia. She is married to Thomas Rich, a paleontologist at the Museum of Victoria, Melbourne. Their fieldwork in Australia has resulted in the discovery of dinosaurs Leaellynasaura and Timimus. Spiders of all sizes are an example of the many kinds of invertebrates (creatures without backbones) that lived in the forest.